This week we feature Denmark, and its spectacular capital of Copenhagen. Denmark is an archipelago consisting of a large peninsula, Jutland, and a series of large and tiny islands—most noteworthy Zealand, Funen, Bornholm—in the Baltic Sea. Denmark is world-renowned for its strong civil liberties, progressive social policies, and stable currency. Famous for its rich cultural heritage and innovative practices in design and architecture, Denmark is a modern, vibrant country definitely worth exploring. Denmark is very flat, with its highest point, the Søsterhøj Transmission Tower, 315m above sea level! So naturally it’s great for biking. With its wide cycle lanes and great inner-city bike system, Copenhagen looks like it was created for bicycles. Join the ranks of the city’s cyclists, tour the capital au velo, and catch a sight of one of the unique “pram bicycles”—a combo of bike and perambulator. Be advised that since bikes are prohibited from crossing expressways and major bridges, you and your bike should board the train if you do need to cross. The major selling point of rental bikes is that they only charge a returnable deposit of around 5 USD! Take a half-day trip out to Sweden over the new Øresund Bridge that spans 17 km. For about 20 USD roundtrip, the electric train will take you over in about 45 minutes, rewarding you with a spectacular view of the glistening Baltic Sea. Denmark is known for its recreational areas, amusement parks, and zoos. Head over to the pleasure gardens of Tivoli with its rides and restaurants, or investigate the world’s oldest operating rollercoaster at Dyrehavsbakken Park. Copenhagen’s zoo is 142 years old and houses a variety of Victorian ornamental gardens, fierce cats and bears and strange spiders. For a real treat, don’t miss Legoland in Billund. Educate yourself on the Heritage. Denmark is known for their long and sometimes bloody history, and for their love of storytelling, art, and design. Check out the national galleries at the architecturally stunning Statens Museum for Kunst, or the classical collections at the Ny Carlsberg Glyptotek. Don’t miss the royal palace of Amallenborg Slot—Queen Margrethe II is reputedly available by appointment to meet any of her subjects. 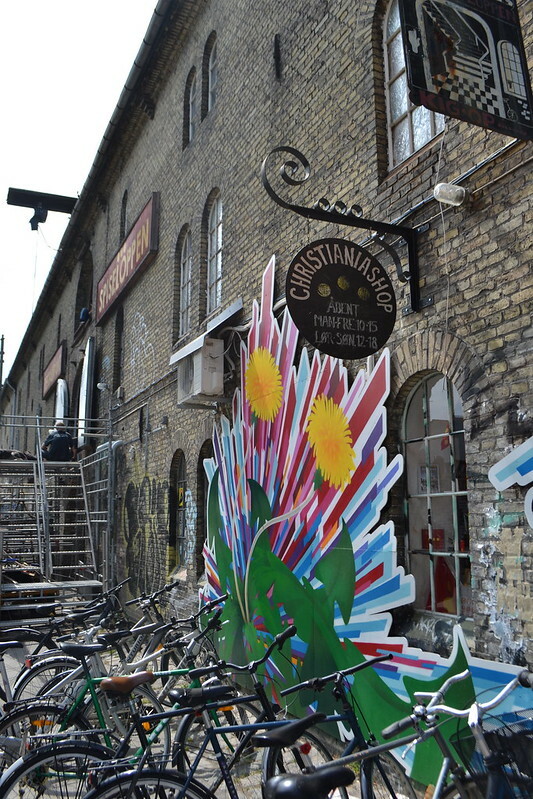 One of the main attractions in Copenhagen is Christiania, a former Victorian military barracks that has since been overcome with hippies, bohemians and artists. This funky, alternative village is home to some of the best cafes, clubs and bike shops in town, and the sight of old gravel tracks and rickety push bikes is not uncommon. As a free station, Christiania officially has no laws and pays no taxes. The economy is sustained mainly by tourists who come to check out the Bohemian atmosphere, the hemp beer, and the openly smoked and sold Cannabis. 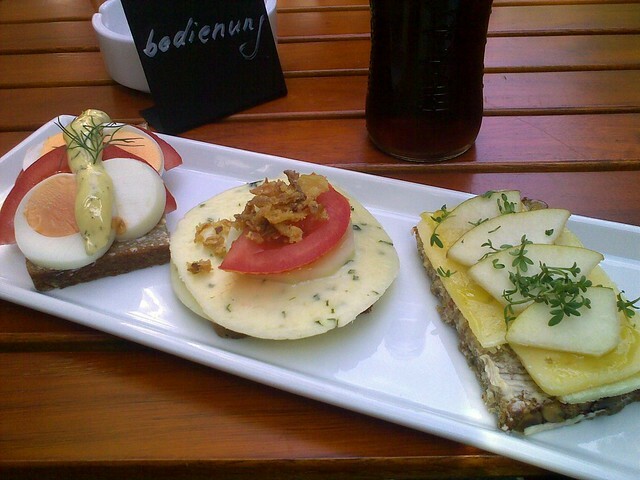 Danish cuisine is a unique variant of typical Scandinavian fare. On top a wonderful variety of meat and fish dishes, try the national specialty of smørrebrød, open-faced sandwiches on rye. Danish beer consists mostly of pilsners and other pale lagers, but for a twist try Aquavit (Scandinavian schnapps) or Gløgg (mulled wine, served mostly during the winter). Some of the most innovative chefs base themselves in Copenhagen, and the city is home to quite a number of Michelin award winners. If you’re a budget traveler, don’t be discouraged to visit Copenhagen—known for being one of the most expensive cities in Europe—the city does its best to offer a variety of hotel deals, holiday rates and youth discounts. For bargains, head over to the Latin Quarter for some great shops just north of the Strøget shopping street. For a low-priced drink, take the Carlsberg Brewery Tour, weekdays 11am – 2pm, where after a brief tour around the factory you can drink free for an hour. – Neighboring Aarhus, with its picturesque Open Air Museum of what the city looked like in the 1800’s, or Odense, the main city on Funen, the hometown of HC Andersen and of one of the best preserved Renaissance castles, Egeskov Slot. 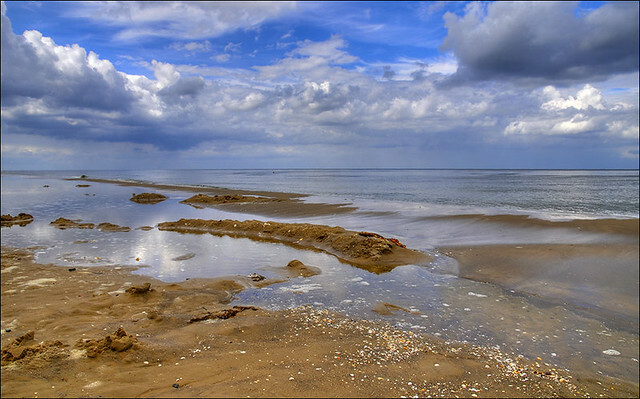 – For the outdoorsy adventurer, there’s Læsø, a remote island where you can ride through sand dunes on horseback and visit farmhouses with seaweed roofs—or Kongernes Nordsjælland National Park, the old hunting grounds of ancient kings. 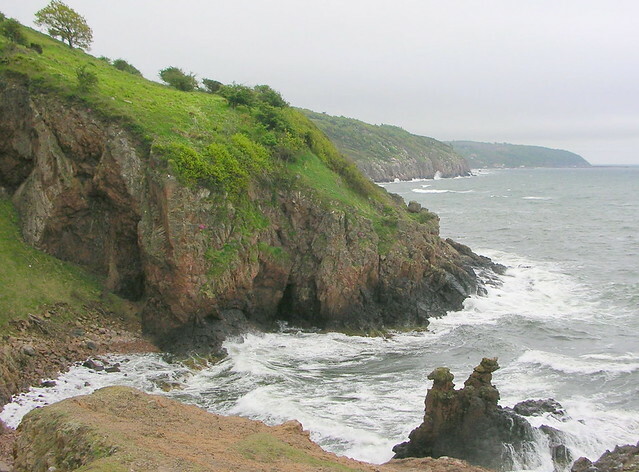 – For a special treat, take a ferry over to Bornholm. This tiny island (227 sq miles) lies seven hours from Copenhagen. Here you’ll find caves, forests, rocky coastlines, medieval churches, sandy beaches, strawberry stalls, traditional herring smokehouses, red-tile roofs, and Viking burial mounds. You can also bring your bicycle for a cycling excursion around the island; or rent a bike for a minimum fee from one of the many shops. Be sure to stop in Svaneke, a town known for its cute craft shops. Take a night ferry from Copenhagen (94 USD roundtrip) and float by the old churches and docks in the Baltic moonlight. There are a variety of cozy accommodations around the island, suited to every type of traveler—beach camping, pensions, bed and breakfasts, youth hostels, holiday cottages or boutique hotels. – At the grocer plastic bags cost money—so bring a tote bag. – Cans and bottles have a 1-3 kroner refundable deposit—which you can exchange at the shop. – Many toilets have half and full flush buttons—you’ll soon figure out which is which. – There is a 100% tax on gasoline—this means you will pay about double the actual cost. – Denmark, though not part of the EU, is a member of the Schengen Agreement. This allows free movement from other countries within the treaty. Check if your country of departure is a member and whether or not a visa will be required. 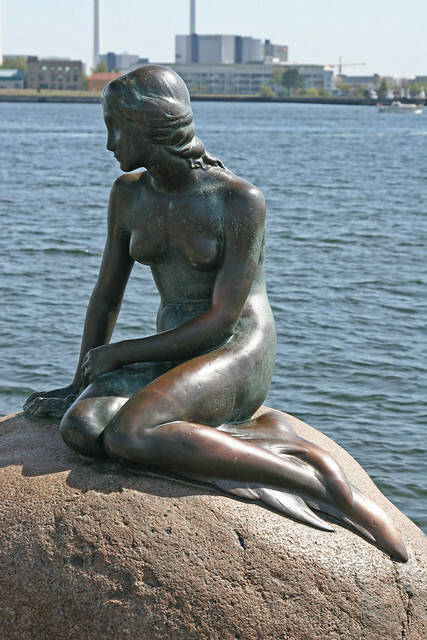 The famous mermaid statue in Copenhagen now has a companion. You can spy ‘Han,’ a stainless steel sculpture, in the harbor of Helsingoer. Due to an inbuilt hydraulic system, he blinks once every hour. Interested in taking a trip to Denmark? Wittravel offers counseling with the best places and times to go. 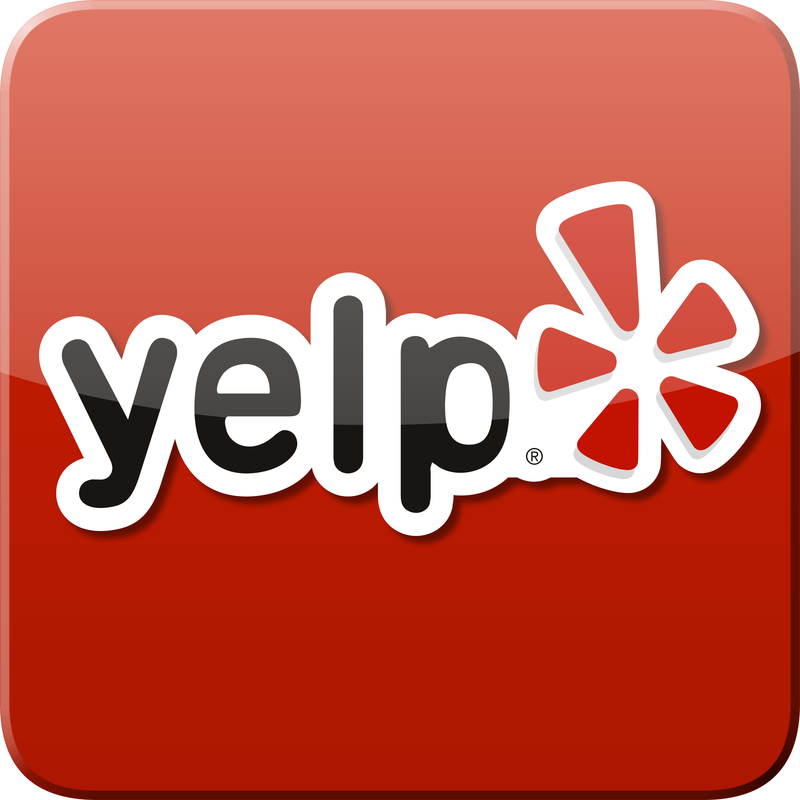 Call us for an appointment or just more information at 503.224.0180 or email info@wittravel.com. Filed under Denmark, Europe, News, Where in the World is the WIT Client?